A rain-affected but nonetheless enjoyable weekend saw the second 'Castell Soda Syphons' tournament at Southwick. This is a doubles tournament played in the alternate stroke format and 14 points per game. 14 teams entered, with players coming from as far afield as East Dorset and Watford. 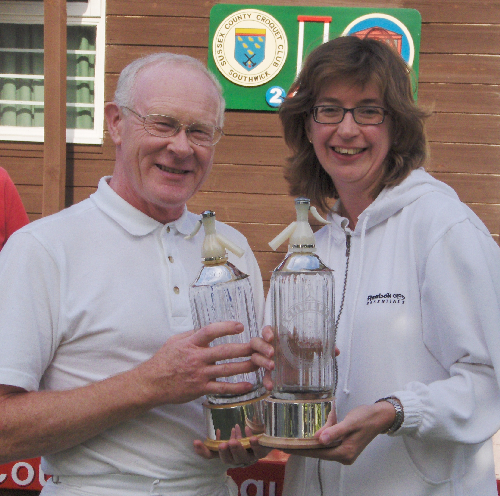 Runners-up were Steve Lewendon and Gerald Gooders, both of SCCC. The winning team were David Harrison-Wood and Helena Urban from East Dorset.